Q: What are your main areas of interest in astrology? A: I’m really interested in almost every field in astrology, and I’m interested in unifying fields. Specifically, the idea that horary is a separate subject from psychological – I don’t see that. So I’m interested in changing people’s views of that area, but I’m specifically interested in creating change in the client; developing techniques for emphasising their resources, and their capacity to change and influence their life. Q: I know that you have a long involvement with Buddhism; to what extent is your approach to dealing with a client influenced by Buddhist philosophy? A: I’ve spent a long time trying to unify astrology and the Buddhist view, in terms of perception of what reality is. I feel quite confident now, and that I’ve got an unassailable philosophical foundation for the effectiveness of astrology. Having that foundation is crucial. I think that, in the last analysis, the ability to create transformation is very much based on the perception of reality. In that sense, Buddhism has had a profound effect on the transformation techniques that I have developed, concerned with planetary energy. Q: When you do a consultation with someone today, whose influences are present in your approach? A: The trouble is, for me, being influenced by other people is something I try to avoid. Obviously, one’s been influenced by all the great astrologers… but the profoundest influence is really that of the people who attended my school for seven years, and the clients themselves. I think there’s a much more powerful Buddhist influence than astrological. It’s really something that has come from all the experiences I’ve had; and I just don’t know where the influences have come from otherwise. Q: How did you first get into astrology? A: Well, it happened back-to-front. It was in India, when I was a part of the drug culture in 1970 and everybody was travelling to India. As a result of taking drugs I had an experience of the influence of the outer planets – Uranus, Neptune and Pluto. The experience was so strong I actually stopped taking drugs, and haven’t since. It was an incredibly strong perception of the Aquarian age. So I came back to front, because the first planet I discovered in my consciousness was Pluto, and then I discovered Neptune, and then Uranus – as living, tangible forces in material things today. It was a stunning experience. So then I started trying to learn astrology! It went very slowly. I learned, but I wasn’t very good. Then, after ten years, I moved to Denmark. An odd thing happened: it’s difficult to find property in Denmark, but we found a house to rent in a newspaper. I got the house, and it happened that the person who had just vacated it was the President of the Danish Astrological Society – which I eventually became President of, five years later. So there was a fated sense in every stage of the astrological journey for me. It was encouraging to know that one was being ushered along! Q: This experience of Pluto – were you consciously thinking in terms of Pluto whilst you were having the experience? Or is that a subsequent interpretation? A: What had actually happened was, I was in Delhi, and came across the book “Astrology for All” by Alan Leo. I’m not sure whether I didn’t actually steal it from one of these piles of books on the street – can’t remember if I bought it or stole it. But it was a poisoned gift, because I was riveted by the book. I read it ravenously, and every night I used to sit on the roof of the house in Delhi and see the wonderful stars. One night, I experienced what can only be described as a Pluto sunrise. I didn’t know what was happening – I saw new colours… This is a ridiculous story and it probably won’t come out in interview, but what happened was that I had a blocked nose. Pluto is actually really related to the nose, and blockages. By concentrating on this blockage in my nose, it changed the whole landscape around me. I had this block for a couple of years, and a noise in my ear. It all disappeared – it was like Pluto’s presence. I said out loud that night, “Pluto”!. That’s how it started – a bit crazy! A very powerful transcendental experience. Later I realised that my progressed Sun was exactly conjunct Pluto, and as my natal Sun is on the Uranus/Pluto midpoint, Solar Arc Uranus was simultaneously conjunct my Sun; it was an Aquarian baptism. Q: If you were going to set up a school to teach astrology to teach people astrology, how would you go about it? What would you emphasise? A: I did have a school for seven years. I wouldn’t set up another one today, because I feel that I’ve gained all the experience I can cope with. I would be repeating experiences if I carried on. It was wonderfully enriching, and I would do it the same way today. Which was totally experiential. Not teaching the way planets work in theory, but evoking the experience of the planets in the living testimony of the people who are present. Obviously, that’s the most interesting way of doing it; people never get bored that way, you don’t get tired, everybody gets inspired, you learn something all the time as a teacher. The idea of just saying what you know – you have to do that to a certain extent, but it would be very tiring in the long-run, for me. So you want this incredible process of discovery all the time, and I do that through interview techniques. For instance, you describe the effect of Mars in aspect to Saturn, then anyone who has that aspect evokes the experience of it through their own words. It’s crystal clear for everybody present, and couldn’t possibly be something anyone’s invented. I like to see astrology proved every moment, through people’s testimony. So that’s the basic thing about how I would teach – experientially. Q: So it’s important for the individual to re-invent astrology within themselves? A: Yes, otherwise they are never going to be any good. Even people studying astrology don’t really believe it works, you know. They don’t realise how much it works; and I like to show them that it is working all the time, and never takes a rest. It’s really there all the time. Q: I was interested by one of the texts you have on your website at the moment. It says: “… the astrologer who puts doubts about its effectivity aside and embraces the hypothesis whole-heartedly is rewarded by this intelligent universe… it is in the nature of things that events normally confirm convictions”. I see a Buddhist influence there, and it seems to me that what you are talking about is faith – faith in the universe, faith in one’s own intentions. A: I’m not sure I’d use the word “faith”. I think “conviction” is better, since faith presupposes a kind of leap. And I don’t think there’s any leap in seeing the way astrology works. Q: I know what you’re saying – faith can be seen to imply “not knowing”, whereas really what is in question here is an absence of doubt. A: Right, absolutely. The more doubt there is, the less effective it’s going to be. So it’s just unprofessional! Not that I disapprove of doubt. I would encourage a tremendous scepticism in the teaching process. I want people to ask, “Does this really work?”; they get a concrete experience of it and say, “Yes – it works”. Q: How far do you go with that? I think it’s clear that there’s a point beyond which faith becomes unhelpful – with someone who believes they can fly and jumps off a five-storey building, for instance. There does need to be a certain co-operation with the laws of nature. A: I can’t answer how far one should go in general. I’m just saying that if you have a conviction that astrology is effective as a representation of reality and go 100% with that, you will be rewarded by tremendous insight into everything that is happening at any given moment in time. So how far would I go? I would just say, “Is your experience enriched, or not? Is it beneficial, or is it not beneficial”? Because if it is enriching and beneficial for you and others, why not just do it? The litmus test is the experience of the client. I really like the NLP idea that the meaning of communication is the response you get. It doesn’t help if you tell someone something that is right if they don’t understand it; it’s not whether you are right, it’s whether they get it or not. Effective communication techniques, which allow people to understand what you are saying so that they can have an enriching experience – that I see as crucial. I suppose that’s how I view teaching: did the person get it, or didn’t they get it? Because if they didn’t, you have got to say it in a different way. Q: How is the time you spend on astrology divided up? A: Well, it’s changed. I’m now a businessman astrologer! Maybe I could divide it into seven-year periods. From ’72 to ’79 it was my “alone period”. I never met another astrologer, read a few books, practised – it was peripheral, but important. Not exactly seven year periods, now.. ’83 to ’90 was the phase when I started taking clients, and that expanded over those seven years. I had quite a lot of clients, taught in evening school – and struggled. Then a period from ’90 to ’97 where I had my astrology school, and also a lot of clients. That was a very idyllic period for me; when I wasn’t teaching, I had clients. I’ve had thousands of clients, and I loved every moment of it. I was never bored, never lost attentiveness. For me, every consultation was like a pearl. I developed some software in the mid 90’s, and it has taken over. I’ve found that very hard to come to terms with, actually. But today I think I’ve accepted my fate. I have one week’s intense consultation every two months – about fifteen clients – which I love. It’s so meditative, for me. The rest of the time I’m trying to organise software design and distribution – I’ve accepted it as an evolutionary development, for me. It’s about how to get astrology out there, to the vast majority of people who don’t actually have any conception of it at all. Q: What have you learned through designing the WOW program and subsequent feedback? A: I’ve learned a lot about business! It’s not so much what I’ve learned, it’s more about how does it accord with my vision of where astrology is going? I think astrology is unsurpassed as an ecological, beneficial, view of existence. Therefore it would be great if more people got into it; therefore, for me, it’s important to produce software that everyone can relate to, that is inclusive and not exclusive, non-elitist, and gentle – because people get really nervous about astrology. Is it happening according to my vision, with astrology becoming more integrated into society? Yes it is, it’s going great. Q: Talking of software that is gentle – a couple of astrologers have talked to me about seeing clients who had been upset by a computer interpretation of their chart, and needed to be reassured that astrology didn’t write them off as beyond redemption. Presumably you try always to be positive? A: Well, I don’t know – I could say that, but I’m sure there are a number of clients who would say, “Hey! That was too heavy…” I have tried to change that. All astrologers, I think, tend to concentrate on difficult areas in the horoscope, because they get a great reaction from clients when they do that. Clients will normally confirm the interpretation, and you’re then into heavy issues in the person’s life – it seems like you are really doing something. But I started questioning that a few years back. Sifting through difficult experiences won’t necessarily help the person, and may even undermine them. One of the things I’ve discovered is the incredible power of positive aspects; unbelievable power, which is totally ignored in modern teaching, I think. Well, it’s not that it’s totally ignored, but the methods used for describing it have so little impact that people move on from that. If you describe a good aspect to a client, or even in a class, people kind of yawn and say, “Well – tell us about the heavy stuff”. But there are methods for changing that completely, so that the power of a good aspect is the power of pure joy, pure well-being. You can’t actually do that in a computer program – as a descriptive thing – you have to do that in a consultation. Q: By “positive” aspects you mean trines and sextiles? A: Yes, trines, sextiles, aspects well-placed, planets well-placed (like Venus in Taurus, Jupiter in Cancer). They will be deep wells of pure well-being energy. It’s much better to spend time with those than with the deep holes of trauma. Like Bill Clinton said once (not sure if one can cite him these days! ), “There’s nothing wrong with America that what’s right with America won’t solve”. There’s nothing wrong with any person’s horoscope that a good aspect won’t give them the resources to overcome. Q: Do you have an example of that kind of approach at work? A: Oh yes, I’ve got so many. The thing is, when you work with it successfully as an astrologer, you’re going to feel exactly the same energy as they do – otherwise it won’t work. So you are going to have some wonderful experiences. To work with the positive energies in the horoscope is a total attunement thing. So, an example: I remember a person with a Sun-Pluto conjunction in Virgo. Her father died when she was twelve, and basically she never got over it. She’d been in therapy. She came dressed all in black. She was a very good-looking and trendy woman; really stylish black clothes. Black; total black; no let-up in it – it shows somebody who doesn’t have any resources. If somebody comes completely in black, they absorb all the light. It was obvious that she felt she didn’t have resources. But she had the most wonderful Mercury-Uranus, in fire, in the 3rd, trine Jupiter. It turned out that every night her father used to read an exciting story to her (so you’ve got the 3rd house Mercury, you’ve got an adventure story [hence Uranus]). He always used to stop before he got to the end, so she was really looking forward to the next night, couldn’t wait to go to bed to get the rest of the story. Now this is an energy state that she was in all the time of bubbling excitement and joy. When I reminded her of these experiences with her father – that was enough to totally change the Sun-Pluto energy. Six months later she was free from it. Q: And did she start doing things herself which were expressions of that trine energy? A: I did some special work on that in the consultation, which was on a very basic energy level. Working with the energy of the trine and the energy of the Sun-Pluto conjunction, I actually moved it. I made her visualise the energy as light, and infuse her being with this light. That was all that was necessary, she didn’t have to train after that in any particular way, it just happened naturally. The way I know that is, the Sun-Pluto conjunction gave her tremendous anxiety about losing her partner. So whenever she fell in love, she felt so bad immediately. But when I talked to her six months later she had gone completely through that, and didn’t have that feeling any more. Q: And what of difficult aspects – do you see those as energies that can be turned around and used constructively? A: Absolutely. That’s the next stage, because I think it’s important to master the positive things before you work on the negative. That way, you always have a fall-back in the positive when you are working with the negative. Because if you are really working with negative energies in a person’s horoscope, they are going to feel really bad at some point. The idea that “bad aspects are good” is just rubbish. Bad aspects may be “good” in the sense that they are something you work through, and you learn to change, and you can use them beneficially, etc. But the basic experience of bad aspects is always going to be negative in the beginning. As such, there is a wound where that has happened. Even a small bad aspect like Mercury square Mars or something like that would probably show something like sibling rivalry which was a real pain. The problem is that a lot of people don’t really accept that they have a behavioural problem – which you will have if you have a bad aspect, unless you have actually worked on it and changed something. So sometimes you have really got to describe that behavioural problem first. You can’t work on a bad aspect until a person accepts that they have got it. They often think of it as being somebody else’s problem, so they haven’t owned it. You have got to get their total, embarrassed acceptance that, yes, they do this. Reaching that point is a wonderful experience, because when people accept that they have a behavioural pattern which is embarrassing, when they own it, you reach this point in the consultation where they say, “Oh God – is that what I do”? Then they ask, “What can I do about it”? Until you reach that point, you can’t do anything. As soon as they say that, they can do something. I must say, finding out how to help people change behaviour like that – I never thought I’d reach that point. For years, I diagnosed problems – and there it was. People recognised the problem and said, “Oh no!” and I just said, “Hmm, well, you mustn’t do that”. Astrology is such a fantastic diagnostic tool, but so far as I know it hasn’t had much development as a healing tool. That’s why I love articles like ” Talismans” in the AA Journal (Vol 40 No 3, May/June 98) by Ilia Durovic, describing things you can wear which channel planetary energy in one way or another. In Indian astrology also, they have remedies. There is always a yoga exercise, or a mantra exercise, that is a remedy. In western astrology there is this diagnostic influence, and the remedies are few and far between. For the last five years I’ve been developing what I think are some effective techniques for transforming the energy of bad aspects – and especially the last three years, when I went on a Buddhist psychology course in Brussels, which worked precisely with transformative techniques. That is a much more delicate area, though. If you don’t want to do that, just working on good aspects and using them as a resource to get a new view on problematic things is a good, effective technique. So now, anyway, I have learned a whole range of methods which I think are really quite effective, and learnable. You don’t have to spend ten years in therapy, in my opinion. I’m really concerned to develop exclusively astrological tools as remedy techniques in the consultations. I want to get away from the idea that, at some point, astrology can’t do any more and then you must do psychology or something like that. I’m concerned about finding, inside astrology, all the answers. Q: I hope you’re going to write a book about this. A: I’ve been wanting to, but this is where being a businessman astrologer gets in the way. I could – and I will! I really want to do that this year, I’m so enthusiastic about all that stuff. Q: What school of Buddhism do you work with? A: I don’t know. I have this selective memory about when I’ve been taught Buddhism, and I’m just not interested in the schools. My teacher is someone called Tarab Tulku, and he doesn’t emphasise schools or even Buddhism really. It’s almost as if he feels people romanticise experience when the word Buddhism is used. Buddhist teachings are very pragmatic, very practical. I took refuge with Situ Rimpoche in 1981 in Samye Ling, Scotland – I should know, but don’t any more, what school of Buddhism that is. It’s one of the four, anyway. It might be Nyingma, or Gelugpa… but that’s the sort of stuff where I just turn off if I hear it. I’m only interested in practising. Q: Do you feel that astrology contains within itself the means for spiritual growth, or do you think that the astrologer needs to be involved with some system? A: I definitely don’t think that astrology contains within itself the necessary spiritual lessons and roots to help you. I just don’t think it does, and also think there are dangers involved in thinking that it does. Especially when people move into esoteric areas and spiritual hierarchies then I think they’re into really dangerous areas. A: Yes, there are different forms of self-acceptance! There’s no excuse in the horoscope for bad behaviour. Having said that, I do think that people should learn to forgive themselves. If anger is a problem, they should learn to say, “That’s it; anger is one of the things I’m dealing with. I’m not perfect…” a kind of self-acceptance is really important. It’s crucial, in the transformation of a bad aspect, to say “I’ve got this problem, everyone else has got similar sort of stuff, I’m working on it” – already, it halves the problem, instead of giving yourself stick. Q: The work you’re describing with clients seems to imply a need to see people repeatedly. A: Well, a lot of clients do come again, but a lot of clients don’t. I’m not the kind of person who likes to work repeatedly with people. If I think someone’s really got a problem, I refer them to a psychologist. So I’m more of a Uranian, in the sense that I want to see how much magic can be done in a one-and-a-half to two hour session. If people want to come back – I don’t want to see them for at least three months, that’s for sure. I see myself as a catalyst, and I think I can change some things in that one-and-a-half hours. So although I think it’s quite a nice idea to see people repeatedly, it’s not my style. And I should say, it’s not everyone I work with on that level either. You can’t with everyone, but I try. This brings us back to this unifying theme again. I really like prediction, and think there’s an art and a skill to prediction, which has been completely marginalised… it is a dangerous area, but there are ways of doing it which are incredibly effective. I’m interested in prediction; I’m interested in the traditional areas of astrology where you demonstrate its effectiveness by describing people’s lives without any information from them. But people also need the surprise element in astrology, the consciousness-raising shock of seeing that their lives are in harmony with the universe, that life is a holistic experience. You asked, do I see people repeatedly? Well, some people, yes; but a whole lot of other people I just want to give an astrological experience to in a more conventional way. Q: Do you write any sun-sign columns? A: On my web-site, yes. Q: Do you think it’s of sufficient significance that you look at your own or client’s charts in terms of sun-sign astrology? A: No, I don’t. It’s a good superficial way of dealing with things. Once you’re with a client – it’s probably wise to bear in mind their sun-sign, because sun-signs get ignored too much today. You know, anyone who is a Scorpio will probably have noticed certain challenges in their relationships now that Saturn has moved into Taurus – just generally speaking. You can take that approach to a certain level, then it just collapses. But it is interesting. Q: Christeen Skinner, in her interview, said that she sees one of her functions as being to emphasise to people the quality of their sun-sign; she believes that often the Moon dominates the Sun. A: Yes, that’s true. It’s a bit different from what I was talking about – the idea that the Sun is your essential identity, probably your pathway to divinity – and that, the more you find yourself, the more you’ll come into touch with something beyond yourself – light. Q: What do you think of as being your greatest successes in your astrological work? A: Well, I think my astrological school was a great success. It was a way of showing that astrology works, and showing what an electrifying experience that is for the participants – that ability. But I think my biggest success is WOW, because it has sold over 100,000 CDs in ten languages so far – and, as such, has reached ordinary people. I have so many letters and emails and telephone conversations where people say, “this is an amazing piece of software”. And they didn’t really know about astrology, they just want to say that it was amazing. I’m amazed when they say that! I don’t know whether I’ll see that as the big success looking back, but I think it’s the most influential. A: Well, anybody could have predicted that. It was a touchy one, though – how to express what was going to happen without offending. I like that expression, “change of status”. I’ve got a lot of correct predictions from consultations. I’ve probably got quite a lot of wrong ones, too. But the nature of the correct ones is sometimes absolutely astonishing. I use the consultation chart, which cannot be recommended strongly enough – it transforms the consultation from a woolly, erudite explanation to laser-sharpness. I had a guy come… one of the things that people who study the traditional horary approach say is, “just concentrate on the question”. In the consultation chart, you don’t. You can ask any question of that chart. The chart speaks; what does it want to tell you? This guy had a daughter who couldn’t have children. In the consultation chart the Moon was in Cancer in the 5th – and he said his daughter couldn’t have children! It was going to trine the Sun in Pisces; I said, “she will have children”. He said, “no, physically, she can’t have children”. I said, “she’s going to have a child in a year” – because the aspect wasn’t far away. He was a big business guy in Denmark. It came true, and he was astonished – it was very good for business. It’s absolutely sure; if you see it in the consultation chart, no matter what you have got in progressions or anything else. The one that is really sure is the consultation chart. Q: Taken for the moment the client walks through your door? A: Yes, the moment of meeting the client. It’s not so surprising. The whole point about astrology is that it is working all the time. You don’t have to have a consultation for a consultation chart; you just have to have an event, a meeting. At any point, everything in the environment is screaming at you, telling you what is happening now; and what is going to happen. That’s the great thing about horary (if you want to call it that) – it’s the astrology of now. As such, it isn’t a traditional thing; it’s an enlightening thing, it’s the nearest you can get to the essence of the moment. You’re living in the now – that’s what horary is. A: How can you? How can you remember all those rules? This is the news – you don’t have to. You don’t have to know them all, because they never repeat themselves anyway. Of course, it’s good to have experience. You have to know the basic rules. You have to know that the Ascendant is the person who’s just confronted you for instance, but you don’t have to know vast amounts of aphorisms… it won’t harm you, but you don’t have to know them. The horoscope itself is normally saying where to look. Q: Do you think it’s the case that different people can use different astrological methods, and they are equally valid? A: It seems to be the case. But there’s a very important corollary to that. If that is the case, it’s pretty important that people agree on the view – otherwise you are just going to get a proliferation of disparate views, and nobody is going to be able to relate. So why not (this is what I do with WOW) just deal with the generally accepted methods; the generally accepted house system, the generally accepted planets… if that works, let’s get as many people as possible using that. Because then astrology will have power. As long as it is split up in a number of disparate views, it will never have power. That is my vision for the 21st century. The more people that embrace a view, the more power it has. It’s a snowball effect. If astrology really wants to have an influence, it has to think in those terms. Q: Do you really believe that astrology will experience a significant change of status in the next hundred years or so? A: I have chosen to believe that! Q: How far do you see it going? A: I see it going pretty far; people will take it for granted that they are living their lives in harmony with planetary movements. I know there are a lot of good and bad perspectives with that, but I think it’s going to have a better result than the prevailing scientific/materialistic view, which is very unecological, has very bad consequences for the environment. The crucial thing with astrology, and the idea of being in harmony with nature, with the planets, is that it’s ecological and therefore will be less harmful. Q: Do you have a method for picking lottery numbers? A: (laughing) No! We’re obviously going to end this on a high note! No. I think you’ve got to have the horoscope for it. Q: You never know – one day somebody will say, “Yes – here you are”, and I won’t have to work for a living any more! One experience which you’ve had, that I guess not many astrologers have, is that ofliving in a different culture (albeit still in the west), in Denmark. How different is the approach to astrology there? A: When I arrived there, they had a special system for rectifying the horoscope, called the Kündig system. Half of them used it, half didn’t – and there was a tremendous split, you could say they hated each other. One of the best schools in Denmark still teaches this Kündig system – which I think is just an idea, a theory. They get results with it – you see, you believe something and it appears to work. So in my school I had people who used Kündig and people who didn’t. I didn’t think it mattered. What really matters is how you communicate what you know, and can you do it effectively. Things like the Kündig rectification system matter a bit, but I wasn’t going to allow it to matter too much. So there was this split, and yet during the nineteen years I was there, people got on, a strong mutual respect developed. There’s no doubt that Denmark is full of enthusiastic astrologers, and some very talented ones. Especially in the field of dynamic horary. People like Johan Hjelmborg, and his wife Louise Kirsebom – they are probably the world’s best. Q: What is “dynamic horary”? A: It’s just not English traditional horary. The whole sense of the horoscope as a moving entity – the Ascendant was 2 degrees but now it’s 3 degrees; a planet that was on the 12th house cusp has now fallen into the 11th. You are seeing that everything is in motion in the horoscope, which I think is a more effective way of working with horary than this idea of it as a static thing. Q: How about the attitude to astrology in society at large? A: Much more open, I think. It’s a country of five million people; they are inclusive in that country. They can’t afford to be otherwise. Even punks – they say, “well, he’ll soon come back into society”. A very good atmosphere; I was stunned. It’s the sort of place where you go in to see the bank manager and say, “Look, I want to buy a computer to practise astrology’, and they say, “Will you do my horoscope please”? Q: Did that actually happen to you? A: No, it didn’t. But they did lend me quite a lot of money to start up, without security. Q: Do you get involved in business astrology? A: Well, I like it. I’m very interested in business astrology, and in mundane and financial astrology. But I’m more interested in people. If business astrology means dealing with people in companies, where I don’t get to meet them – I’m just not interested. That’s just a personal thing. So I have a lot of managing directors – and I think that’s a much more effective way of doing it, too. I’m sensitive to people’s concerns about selecting [people for jobs] by astrology; you can get it wrong, can’t you. But… businessmen can be boring, too. It’s not very often that you will get a businessman working on their inner dynamics. You know, one of the things that upsets me today is the marginalisation of astrology. I think that most astrologers are incredibly talented, incredibly dedicated, and they are basically pretty good people (not very materialistic, concerned about their spiritual life etc). Yet these people who have these fantastic skills are struggling in life. It upsets me. I want to see astrologers well-paid. I want to see them have a normal life, working on what they love – not working as secretaries, in factories, or whatever, where they cannot develop their talents. If you’re not devoting yourself 100% to astrology… well you know, would you go to a part-time doctor? That is one of my major motivations. To provide an environment where there is work for astrologers, and they can buy a car and do normal things. I’ve been able to do that personally, so that’s success in a way – but I couldn’t accept it otherwise. I have – in the 80’s I was very poor, poorer than you could imagine. 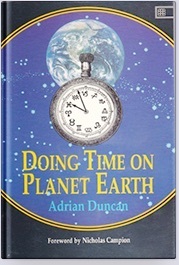 Having been through that, I believe that the environment will improve for astrologers – particularly with the internet. Q: How do you find being editor of the AA Journal? A: It’s been a pleasure. It’s really a pleasure to produce the finished article. It’s really a pleasure when I get a good article. With a good article I just tingle. So provided the material is good, it’s an enjoyable service. I do see it also as being, partly, a very useful introduction to Britain, coming from Denmark. But also, partly, it’s a service. I’ve always done something, spent some time, doing something for the astrological community. It hasn’t been difficult – yet. Upsetting things could happen. I’m astonished at the virulence that is under the surface at times, with people completely putting their own personal pride first. Setting aside the well-being of the astrological community in Britain. I wouldn’t like to get roped in there. So I’m aware of its being a bit of a minefield, but I’m ignoring it completely. If I see a mine that’s about to explode I’ll just remove myself from the environment. But meanwhile, I shall jauntily proceed until I get into trouble. I imagine trouble isn’t far round the corner! I don’t approve of people taking themselves tremendously seriously. People in Britain are very concerned about the probity, the integrity, the image of astrology. I’m not the person to look after that area. 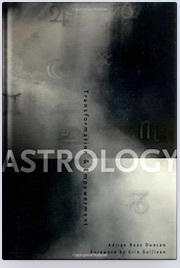 I’m an irreverent guy, playing at being editor of the Astrological Association Journal! Q: It sometimes happens that, if one astrologer sees another practising in a different way to them, they take it as a criticism and challenge – as though there is only one right way to do it, and therefore heretics must be attacked and converted. But if there are different approaches which are valid for different people, then everybody can coexist. A: Yes, I think that there has to be respect amongst colleagues. But then, I personally think that it’s best to propagate a mainstream astrology. That is my view. Q: That reminds me of the interview with Nick Campion, where he observes that you can sometimes get a right reading from a wrong chart – but that this isn’t necessarily a helpful thing to tell students! A: I think Nick enjoys saying that kind of stuff… but you can get one hell of a right reading from a correct chart! I think sometimes it’s a bit of a trick. I remember doing a reading a few months ago where the south node was in the 12th, conjunct Saturn (which ruled the 7th) in Cancer. The lady felt a tremendous burden in the form of her husband’s mother. It was a really crucial part of the consultation, but I realised later on when I got home that I had calculated the horoscope wrong, and the node was in the 11th. I just think, “Well – sometimes the gods don’t want you to think that you’ve got it all wrapped up”. Q: Lastly, what are your plans for the future? A: I would like to write about my experiences in the astrology school. I’m just trying to find a peaceful environment to do it in – unsuccessfully so far. I know that, if I just wanted happiness, that is what I would do. I hope I will do that. But my next plan is to do with the internet. I see, in five years’ time, a pretty useable environment on the internet that will include audio and video. I’m currently negotiating with astrologers in Bristol, London and Denmark, to make a world-wide net of astrologers giving advice on-line. This will broadcast the utility of astrology, and raise consciousness generally about the availability of astrology. It will also provide work for astrologers. There are a lot of astrologers who would love to do that work, and could earn a good income doing it. There’s one hell of a lot of people in the world. If you can bring them together, this could have a very profound effect in the 21st century. That’s what I’m working on.